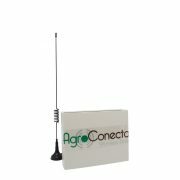 Agroconecta allows for an improvement in productivity thanks to a network of sensors that helps you to evaluate and maintain environmental conditions which are dependent upon your needs. 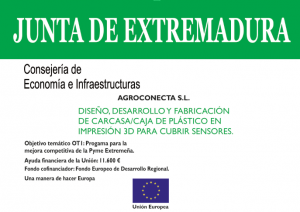 WHY INSTALL THE AGROCONECTA SYSTEM? • Act at the right time. • Analyze the consequences of decisions. • Archive data in external logs in order to help to schedule or plan for future decisions. The wireless devices are adapted for the sensors that are part thereof. They are supplied with power through two alkaline batteries and they allow you to monitor all the necessary strategic points via a network of sensors. The information on the platform is displayed via a sensor map, data table, and graphs that include the parameters’ evolution. Individual user access is via the website or the APP and is password protected. If there are multiple users per installation, different levels of permissions can be established. The central hub processes the data collected from the network of wireless sensors and sends all the valuable information to our server via the cloud. 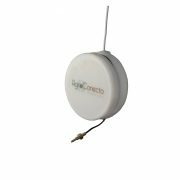 Agroconecta is a system that is easy to install. The wireless devices do not require any type of electrical wiring; only the central hub needs a continuous supply of power. Connect the Central Hub’s box to the power source. Install the sensors at the points that you wish to monitor. 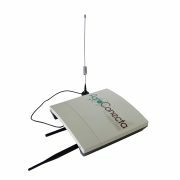 We use the UHF radiofrequency band to send data from the devices to the Central Hub. The distance between them can reach up to 2 kilometers, depending on the characteristics of the installation and the gain of the antenna used. 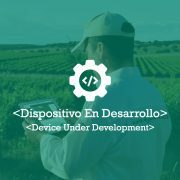 Log into the Agroconecta platform to link the image of the monitored property (Google Maps or a Photo) and locate the installed devices. Mark the desired safety thresholds for each device and each parameter so that you can receive notifications and alarms when values fall outside the set range. Our rage of currently available wireless devices includes three sensors, and we have another two under development: we listen to our customers’ needs in order to continue developing tools that optimize their work. DO YOU WANT HIGHER PERFORMANCE? 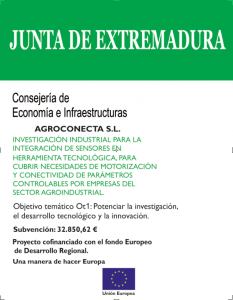 At Agroconecta, we work alongside our customers to be able to maximize our system’s potential and continue to develop new solutions that favor and optimize both human and financial resources. Do you need help?